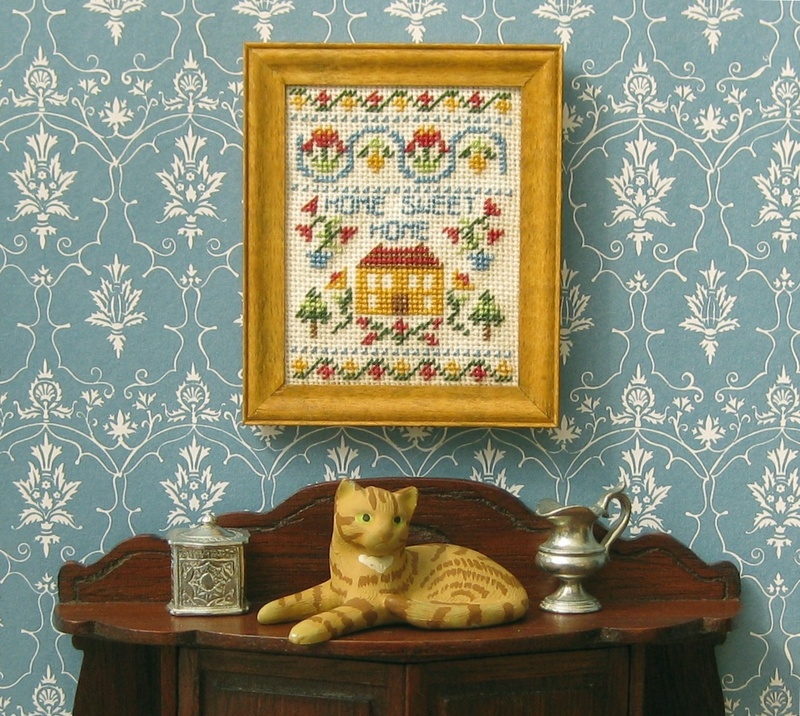 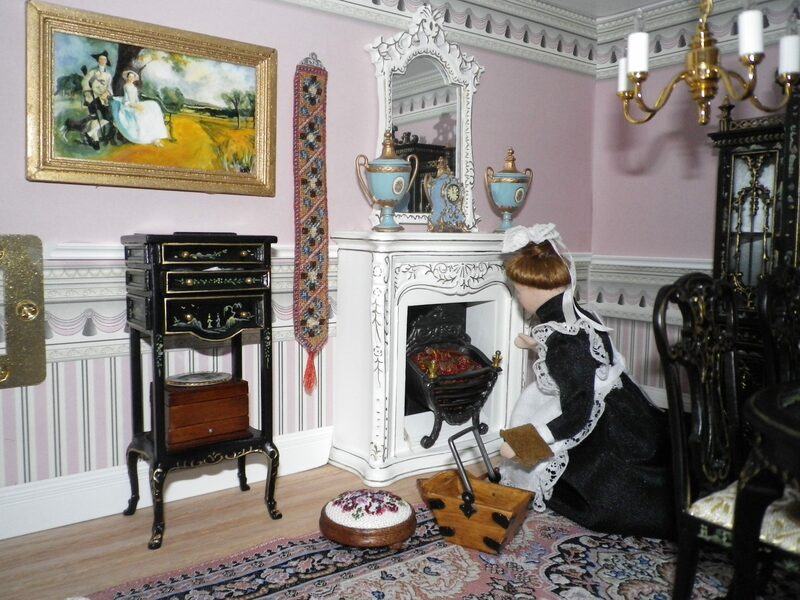 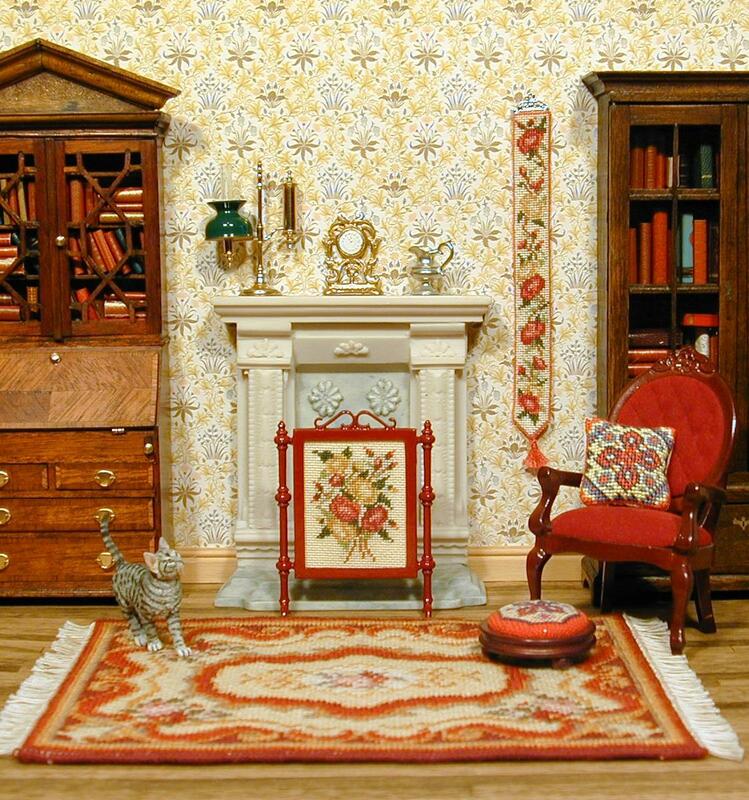 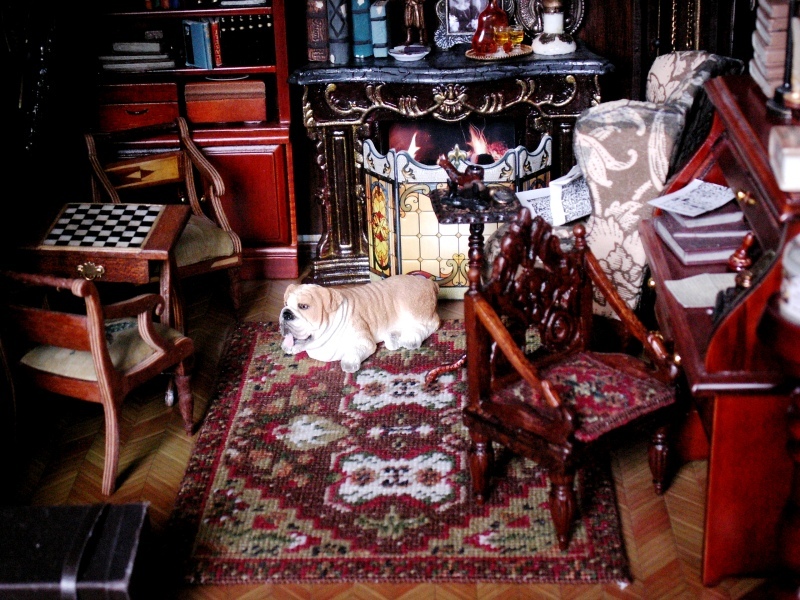 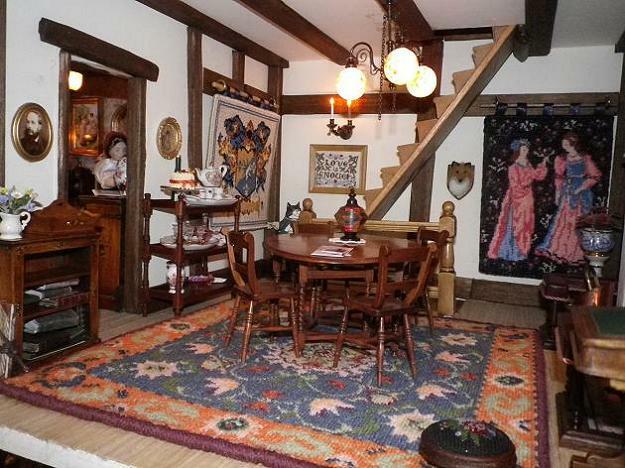 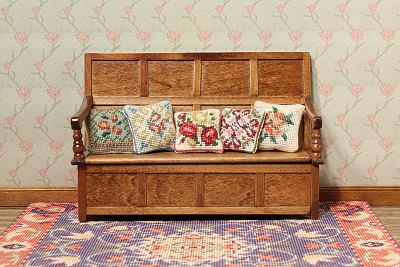 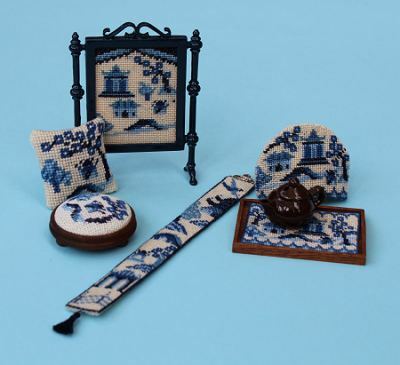 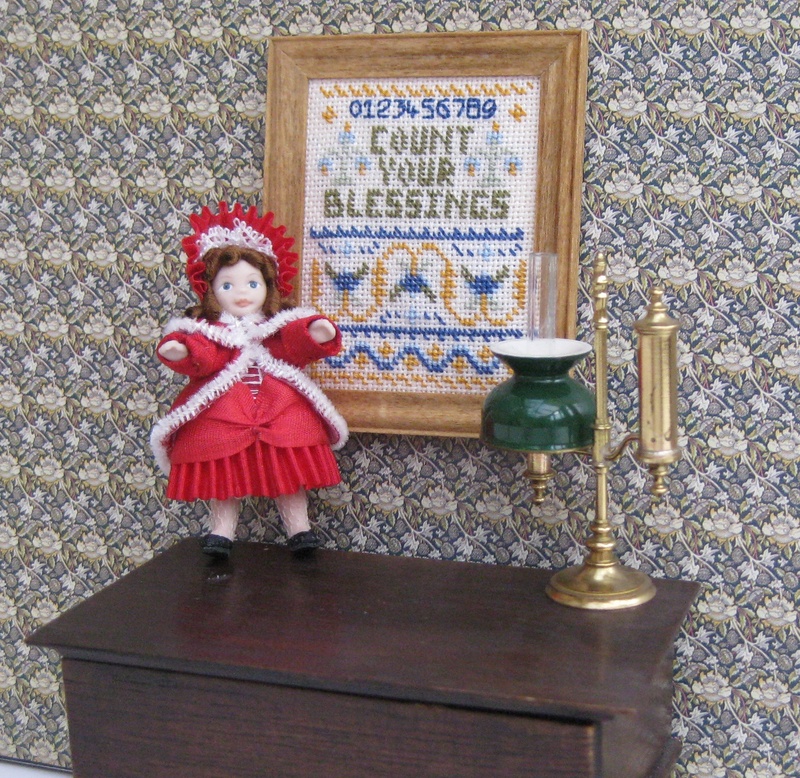 A Victorian style doll’s house room, showing miniature needlepoint items from my range. 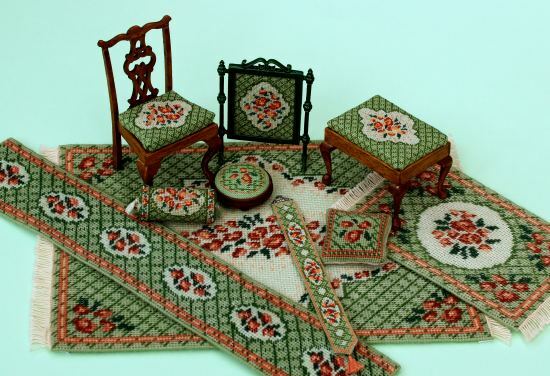 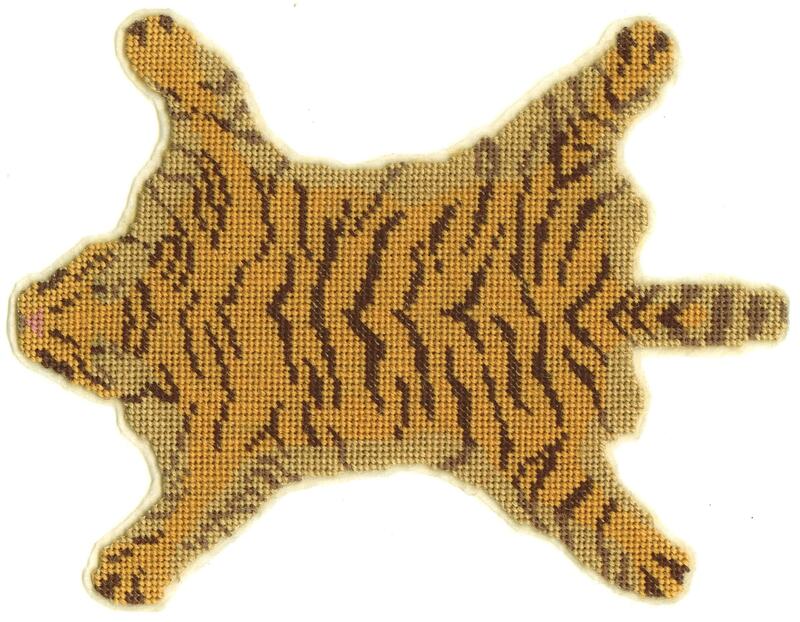 The carpet measures 6 inches across. 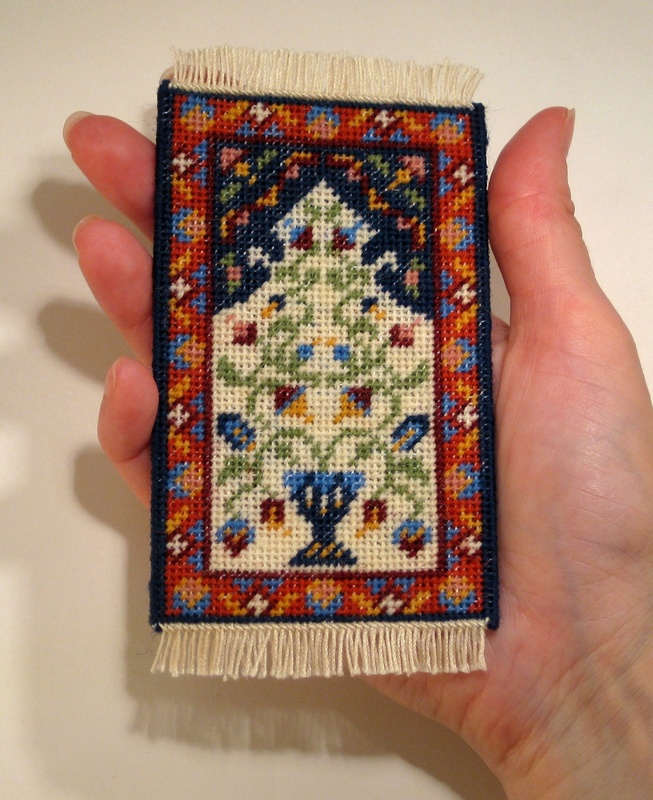 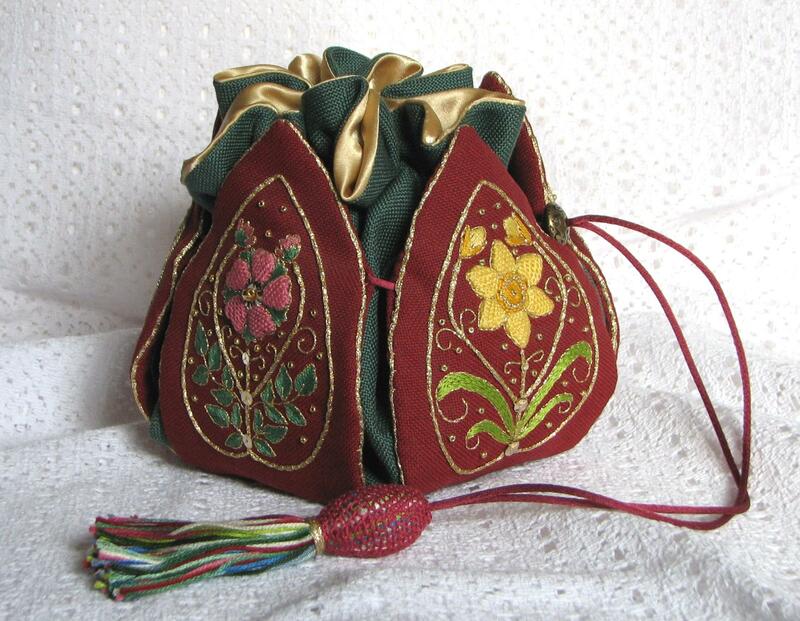 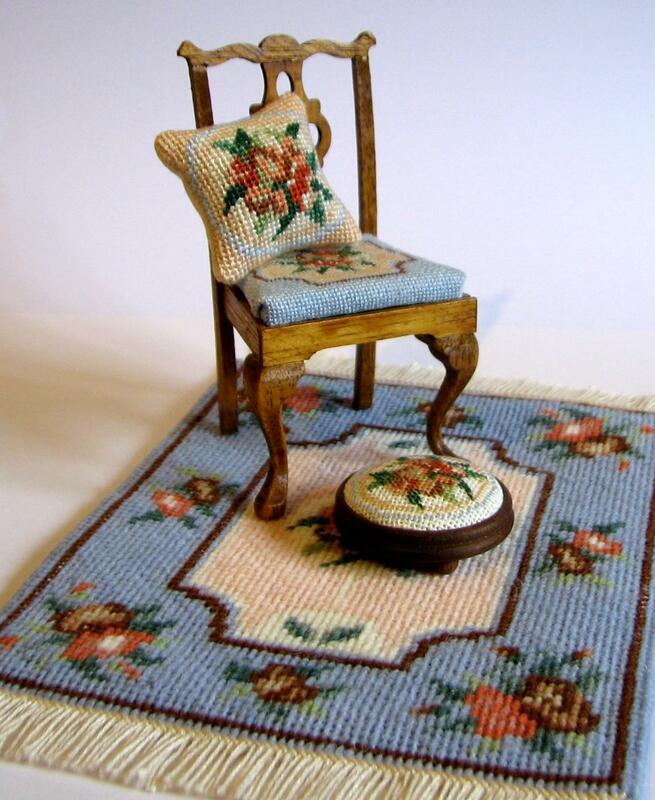 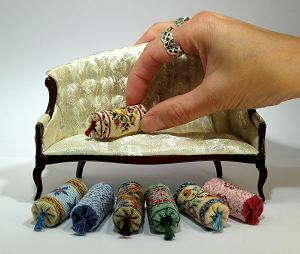 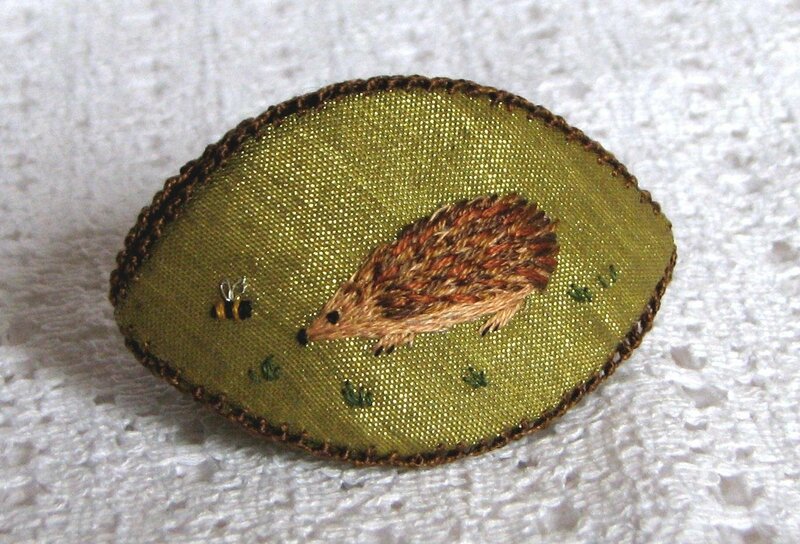 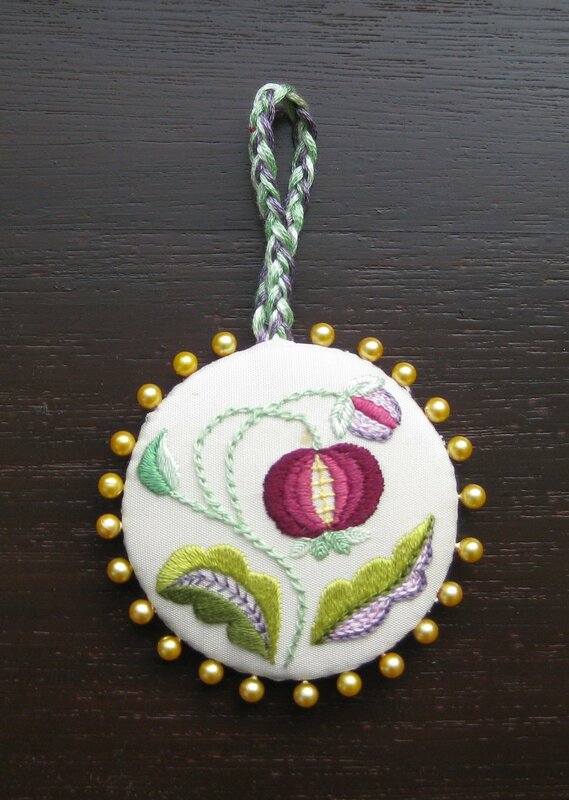 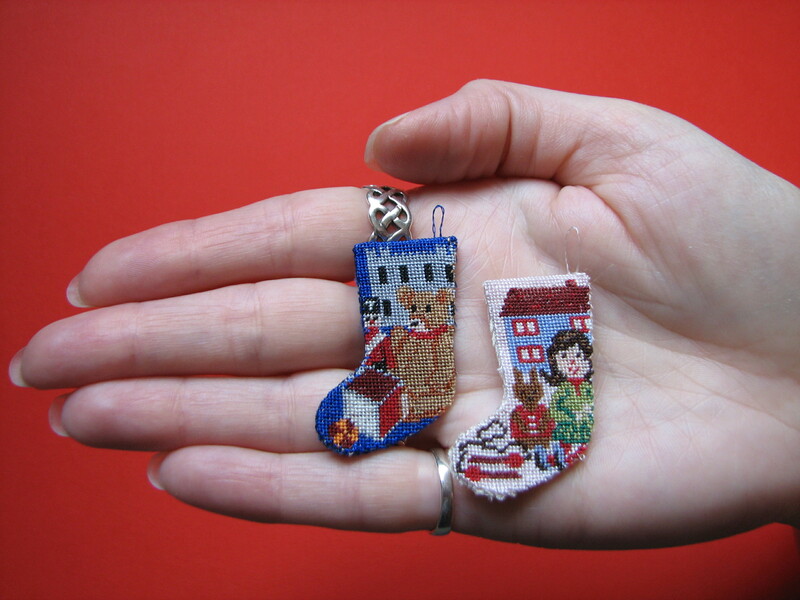 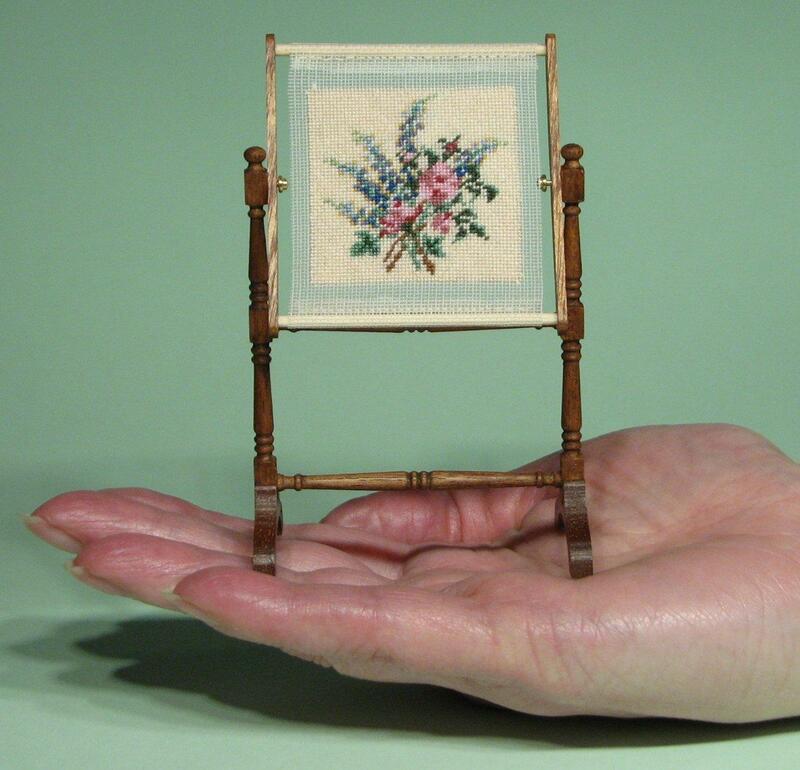 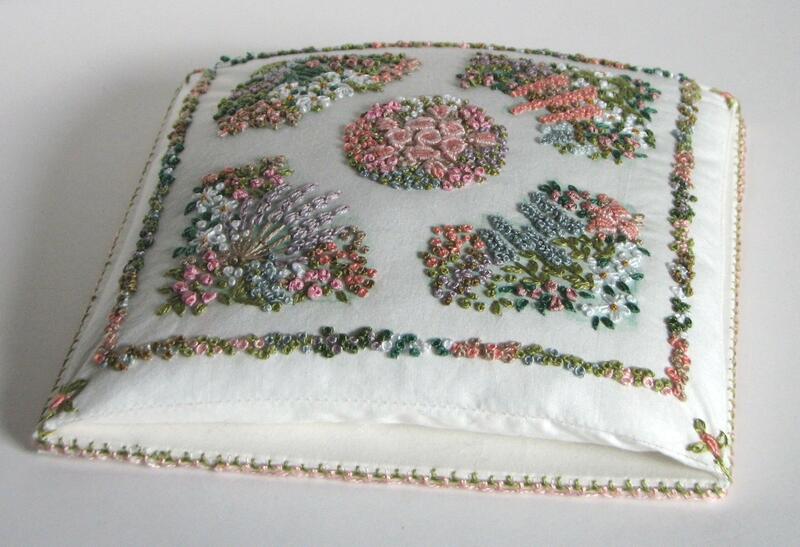 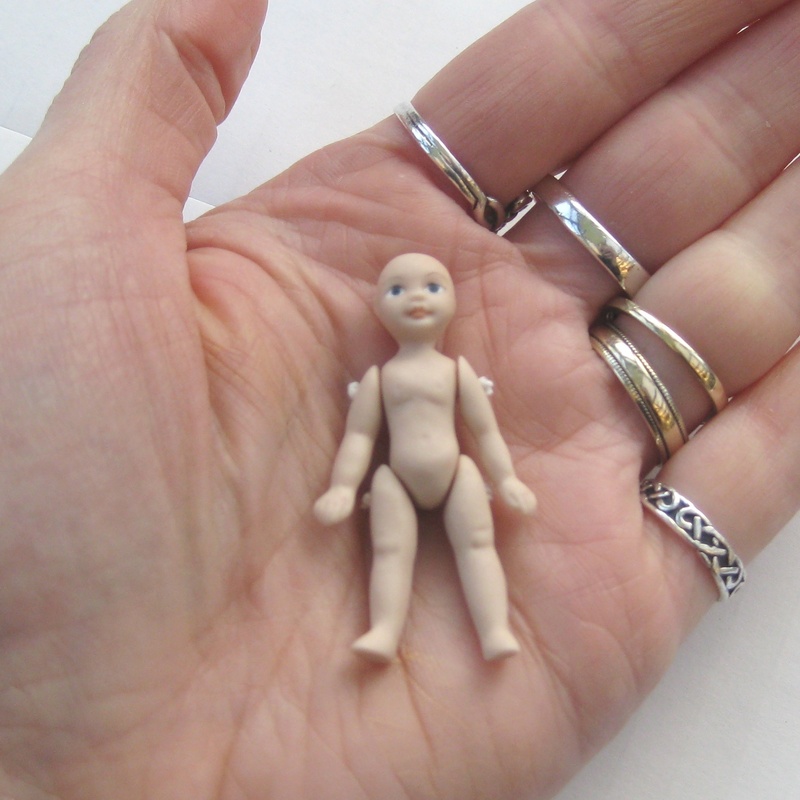 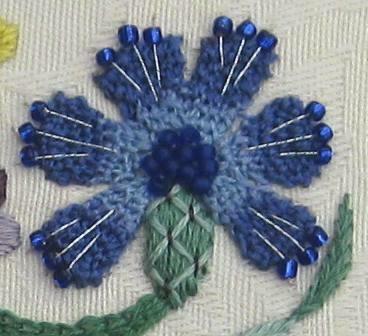 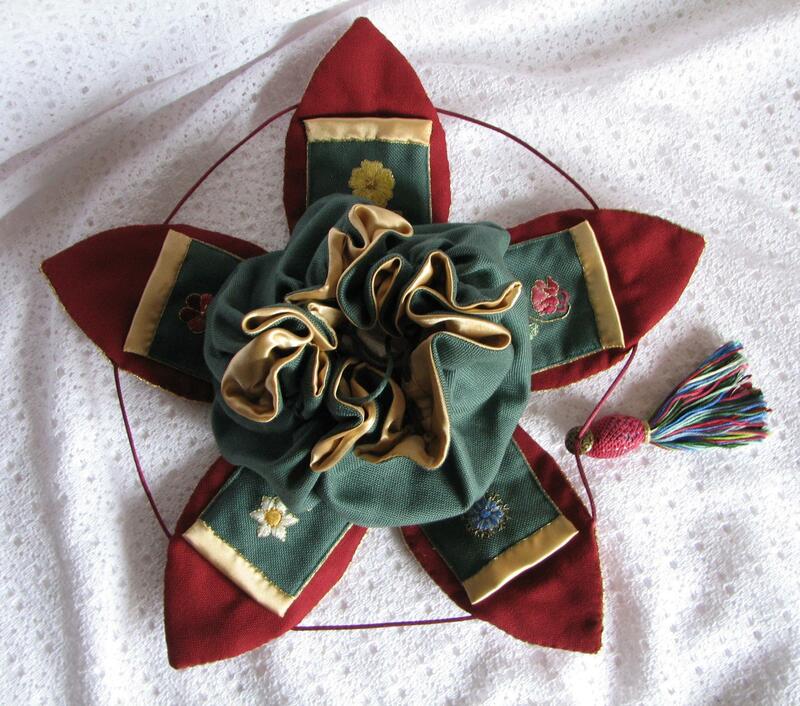 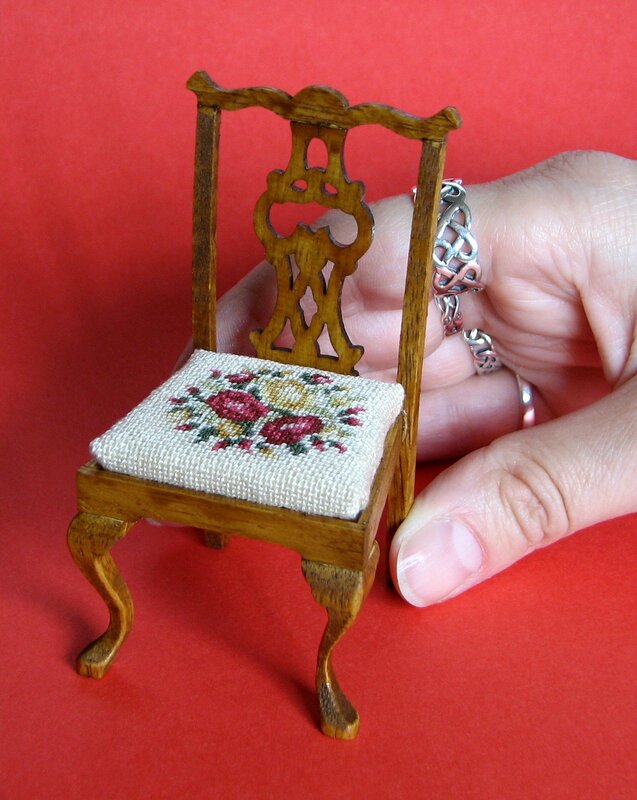 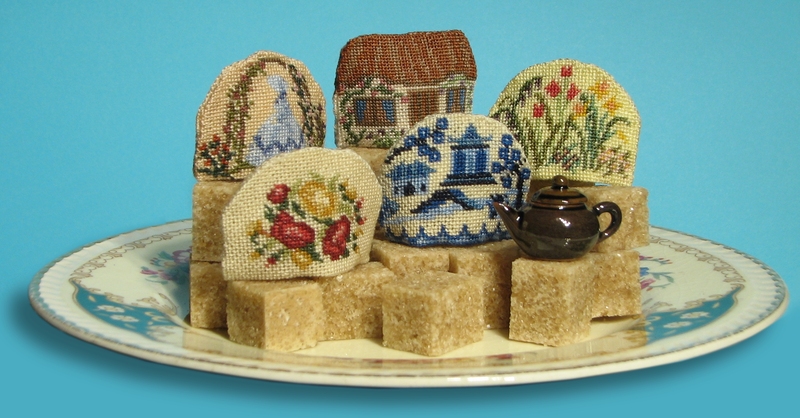 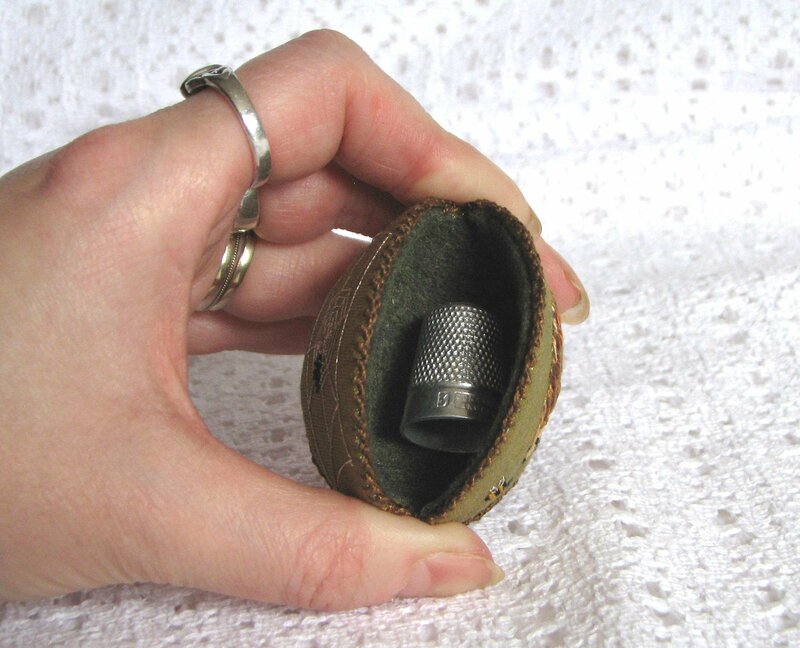 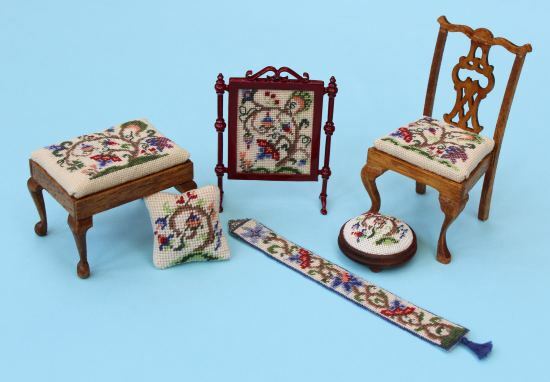 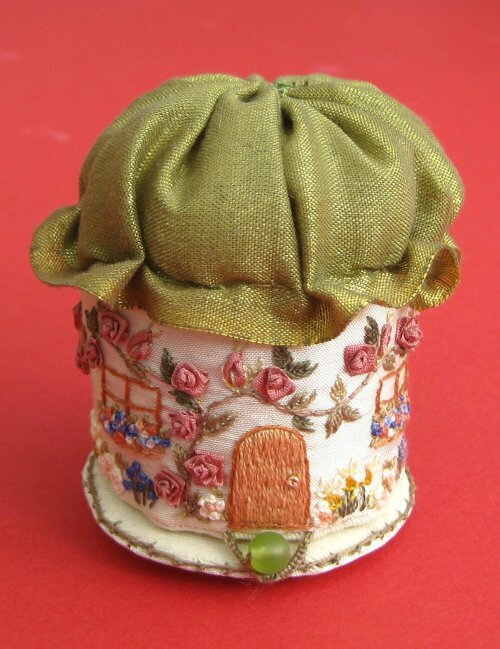 Have you ever thought of stitching gorgeous miniature soft furnishings for a doll’s house? 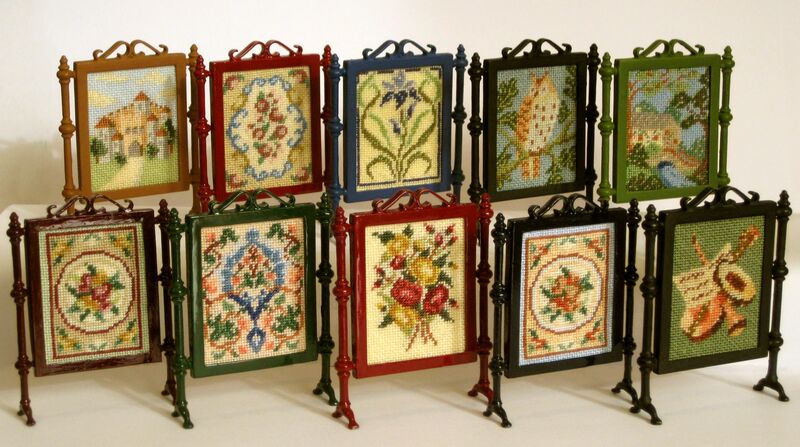 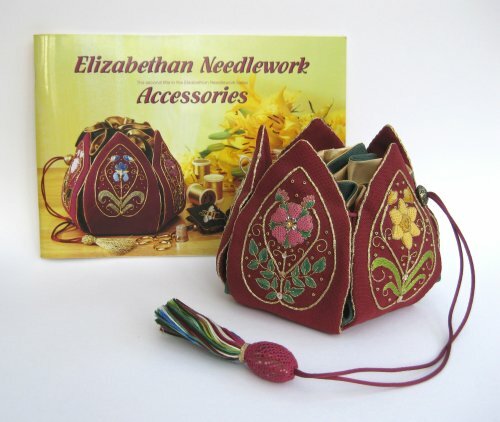 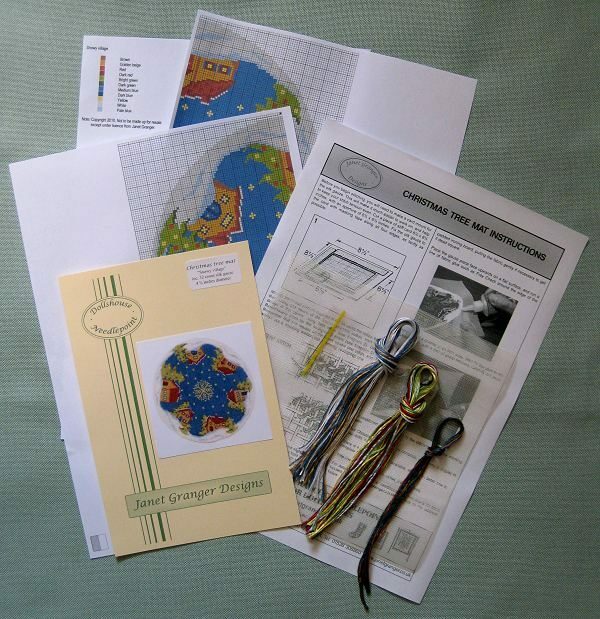 My website, Janet Granger Designs , has been up and running since 1997, and features over 280 kits and charts in one twelfth scale (one inch to one foot). 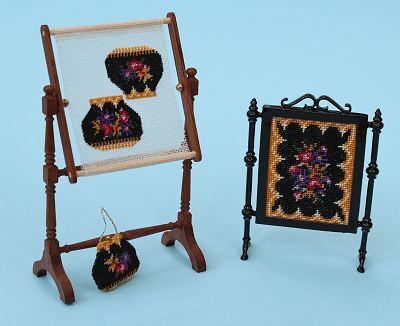 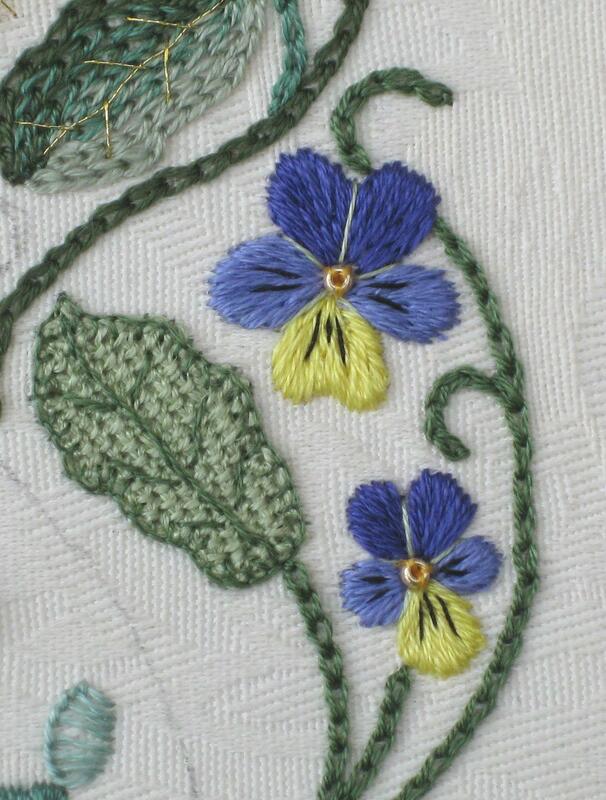 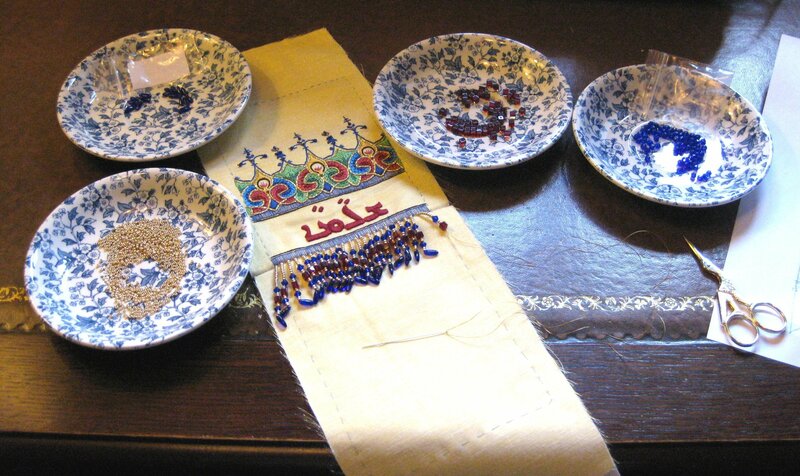 All the kits are designed to be stitched in needlepoint (tent and basketweave stitch – both are very similar to a half cross stitch). 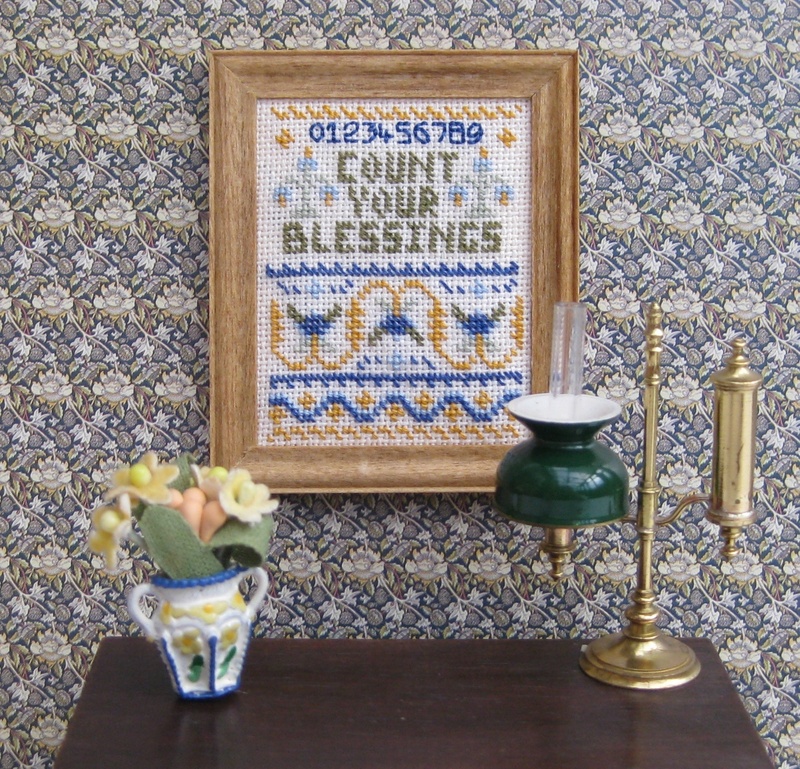 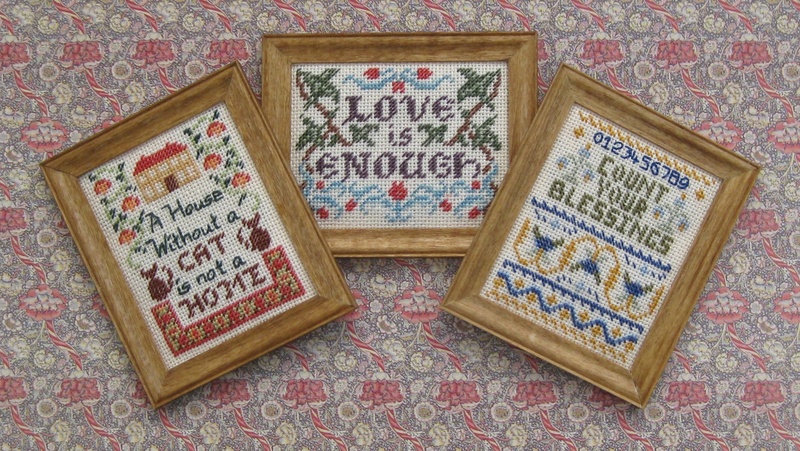 If you can cross stitch, you can needlepoint! 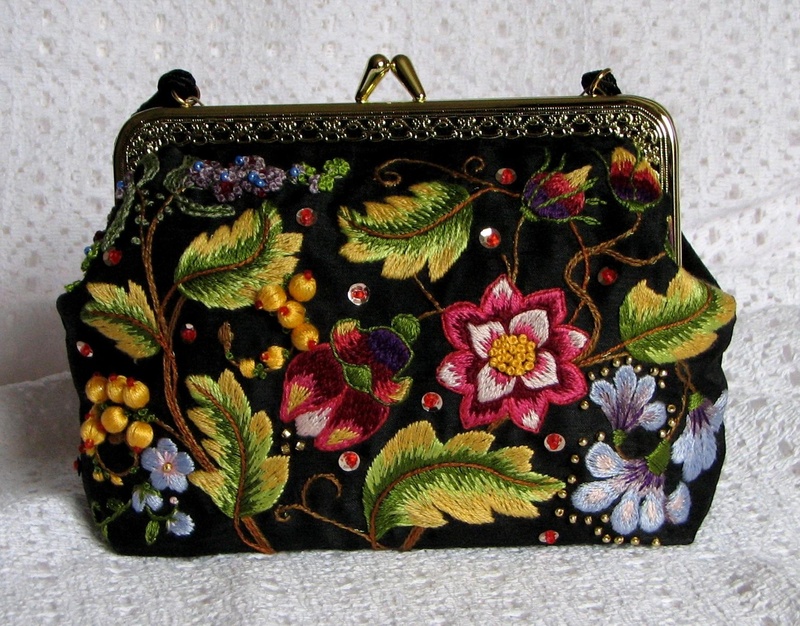 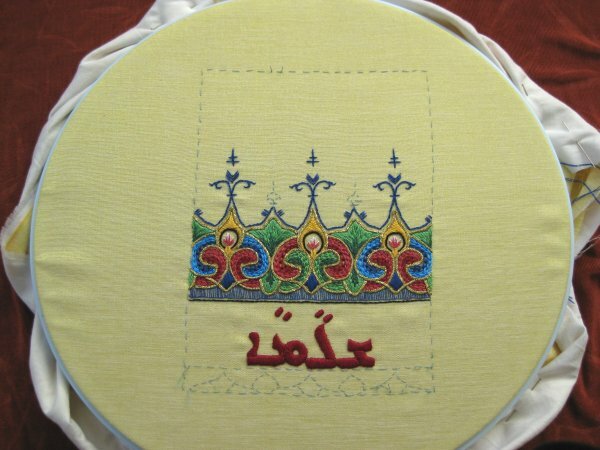 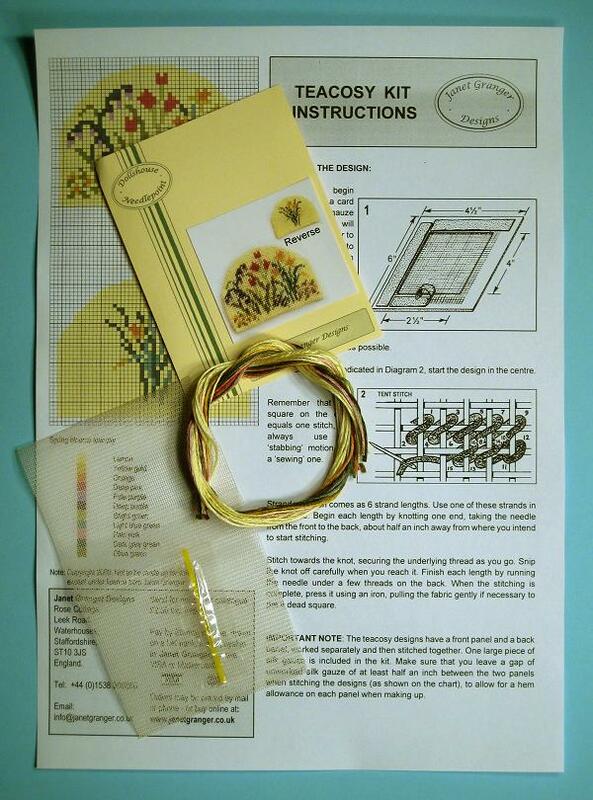 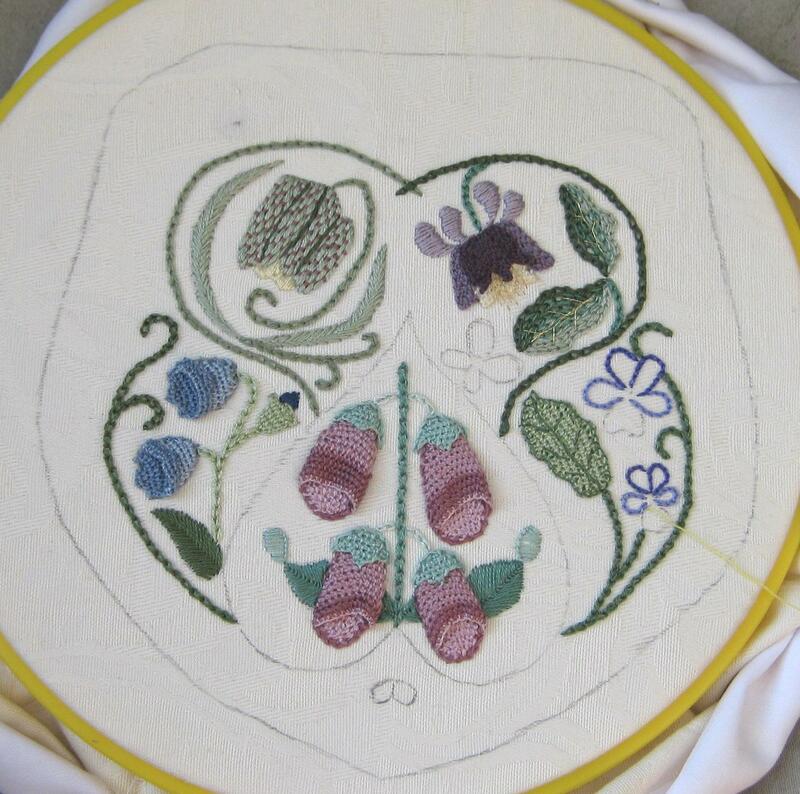 Even complete stitching beginners can do these kits. 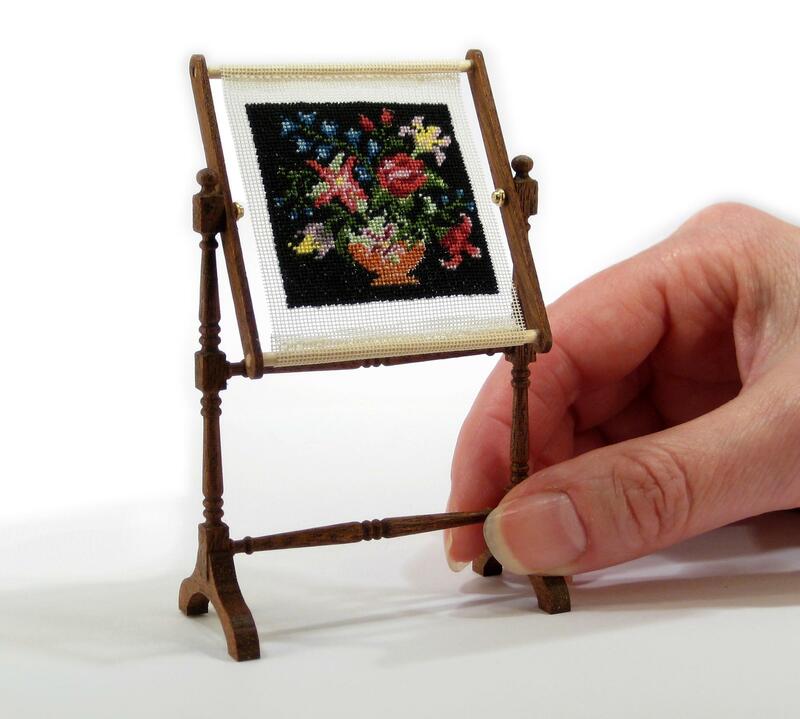 They are much simpler to do than they might appear – and that is the secret of them! 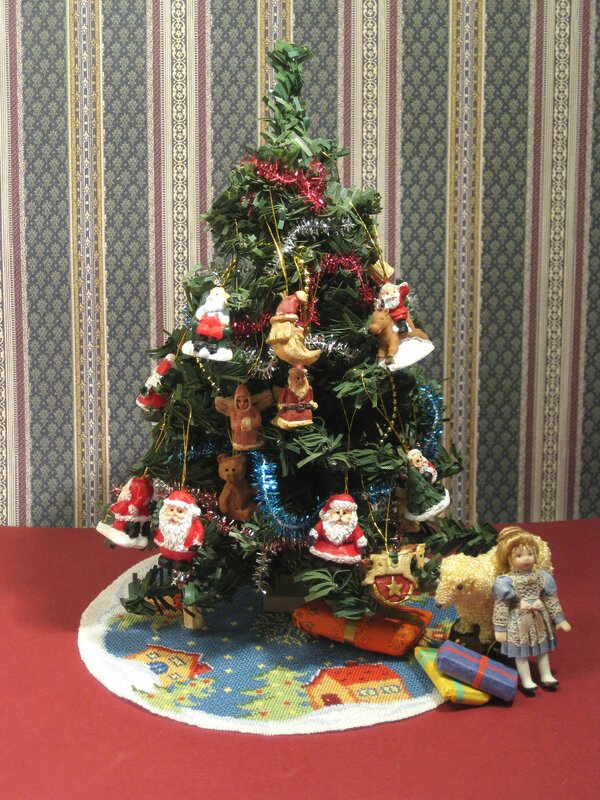 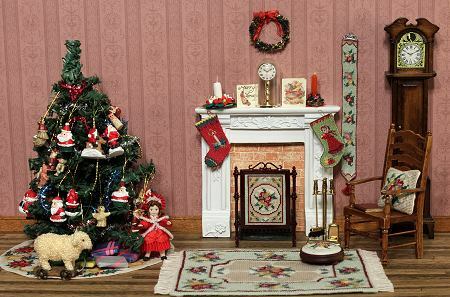 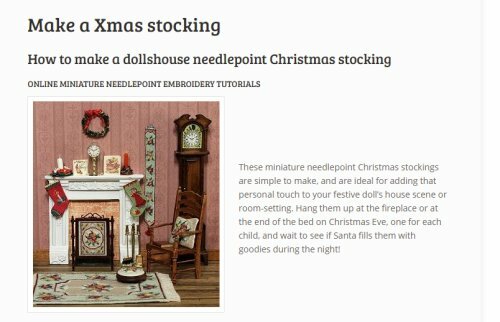 The dollhouse needlepoint kits are available containing fabrics from 18 count canvas (the easiest to use – the carpet kits are stitched on 18 count), right down to 40 count silk gauze (the finest that I use – the needlework stands and Christmas stockings are stitched on 40 count). 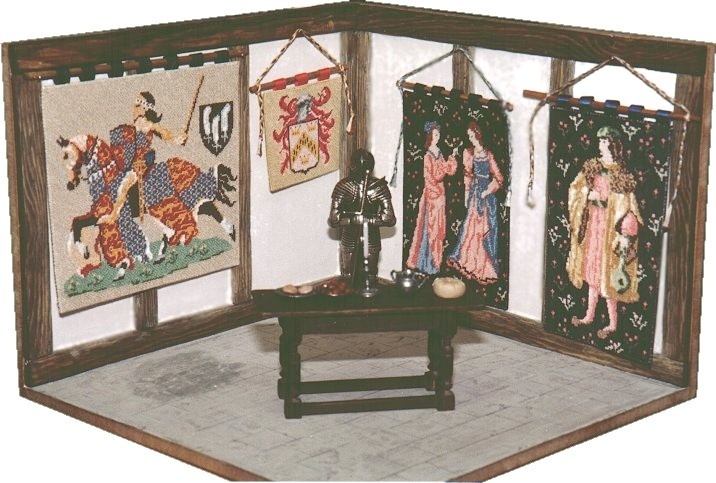 In addition to all the kits (as well as chart packs for carpet and wallhanging kits), I also sell ‘project sized’ pieces of tapestry canvas in 22 and 18 count, plus silk gauze pieces in 32 count to 60 count. 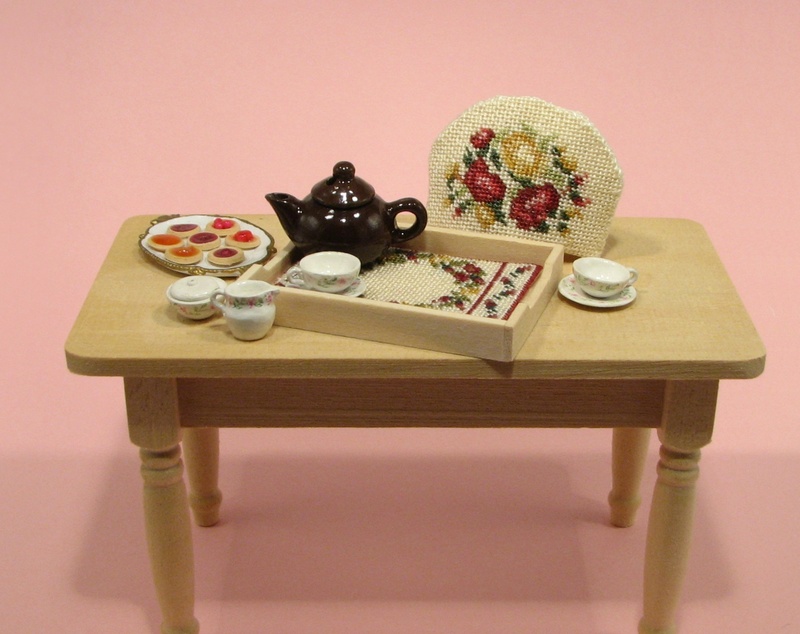 All these items can be found on the Sundries, Canvas and Gauze page of the website. 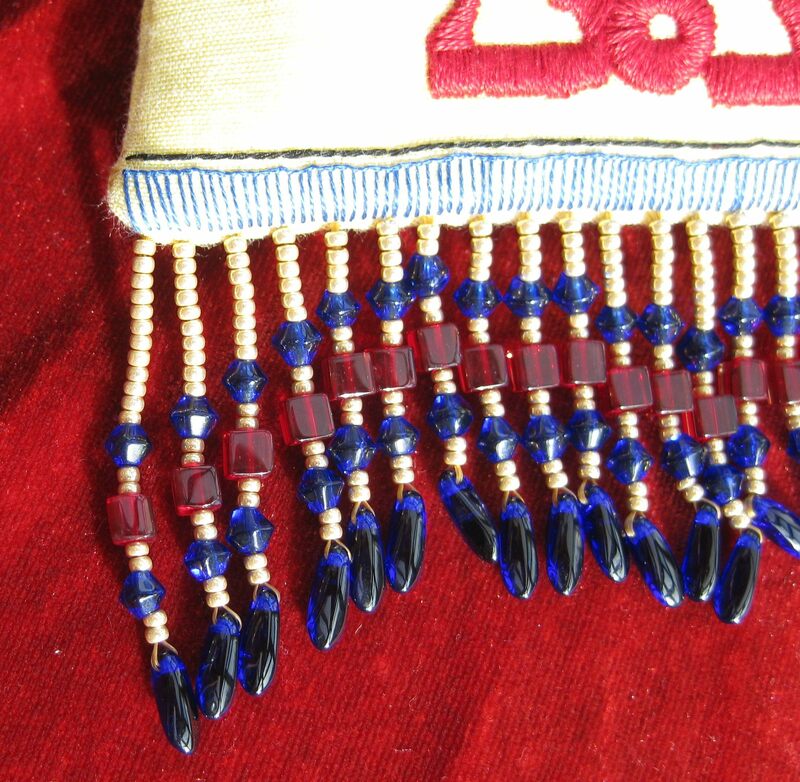 The website has secure payment facilities, and you can pay using Paypal (you do not have to have a Paypal account to use this facility). 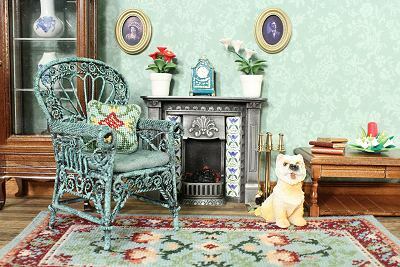 If you are not happy to order online, then a catalogue is available to download free from the website, so that you can order by post instead. 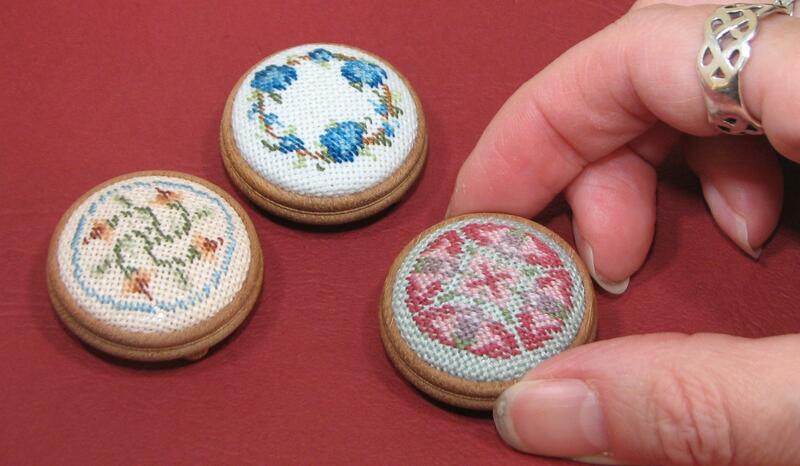 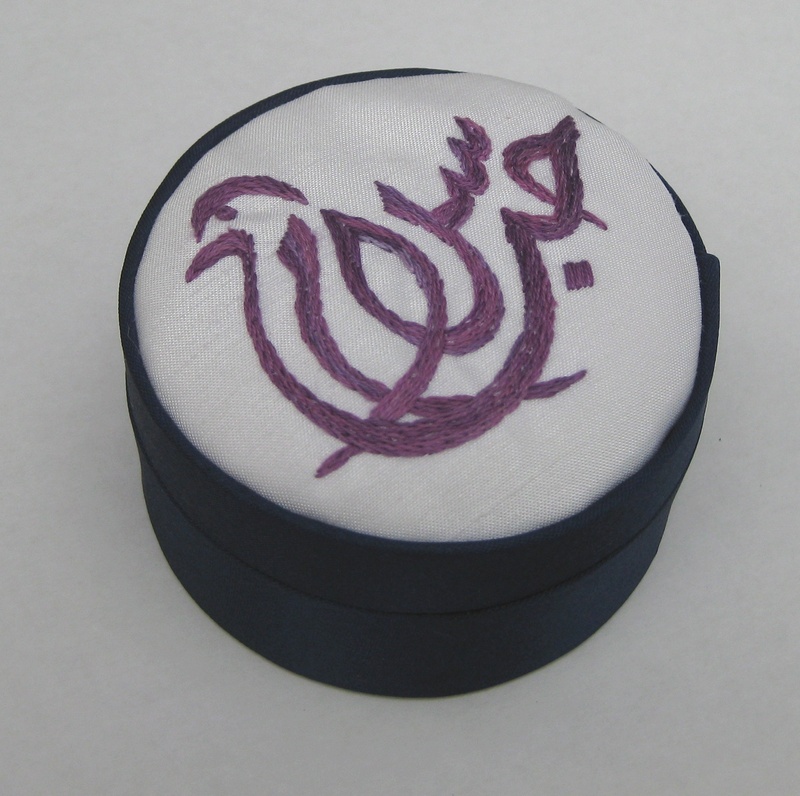 If you love mini-stitching, then make sure you visit my site! 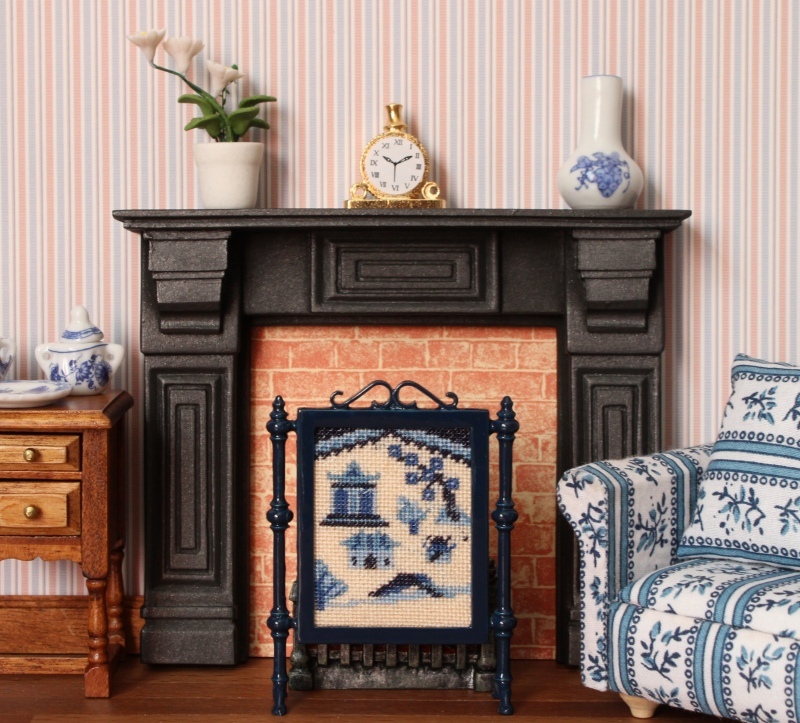 Everything shown is in stock, ordering is safe and secure, and delivery is fast. 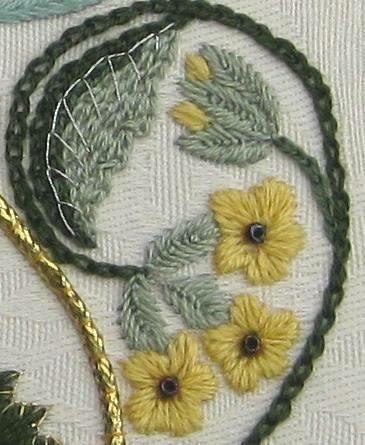 Visit the Janet Granger Designs website now!